Before my first pregnancy, I enjoyed a glass of wine with dinner and an occasional big, juicy chili dog. But even in those very first days after I conceived, the wine tasted flat and the hot dog repulsed me. Fast-forward a few weeks. With a positive pregnancy test in hand, I realized that my body knew I was pregnant before my mind did. Of course, the earliest symptoms of pregnancy wax and wane and are different for each woman; in fact, some women may experience (or notice) none of them. But several can crop up well before you even miss a period. 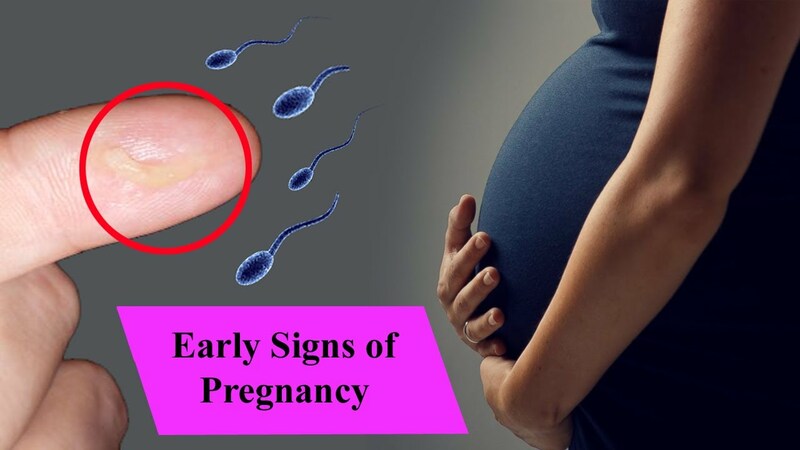 If you’re the impatient type, here are the most common early-pregnancy clues to look for. What to do Buy a very supportive bra. What to do Call your doctor if you notice any bleeding. What to do “Take prenatal vitamins early on, eat a healthful diet, drink plenty of fluids to keep your blood pressure high enough, and rest when you can,” Singh says. You might think this comes later, when the baby presses on your bladder, but frequent peeing sometimes starts early. Not only can the swelling uterus put pressure on your bladder, but the extra blood flow to the kidneys (which begins right away) also causes them to produce more urine. What to do Nothing, unless the frequent urination is accompanied by burning, urgency or other signs of infection. (If so, notify your doctor.) Do not cut back on your fluid intake. “Another theory is that nausea and food aversions are a protective effect the body has toward the fetus,” Perkins says. If things like free radicals or nitrates in some foods could hurt a growing baby, you may naturally develop a distaste to steer clear of them. What to do Many women find ginger and lemons soothing. Ask your doctor about special vitamin B6 supplements that may alleviate nausea. Acupressure wristbands also can help. If you’re vomiting frequently or can’t hold down any liquids, see your OB for possible IV hydration and medication. Find yourself weeping over a “Desperate Housewives” episode or raging because the DSL guy can’t come until Tuesday? “Because of the flux in hormones, you can go from being tearful to angry instantly,” Perkins says. Generally, mood swings in early pregnancy don’t require any medical attention. Im 5weeks 4days pregnant and I experienced a spott in my pants yesterday please its normal.